Biocolour samples from the Kodak Film Samples Collection at the National Science and Media Museum in Bradford. Biocolour samples from the Kodak Film Samples Collection at the National Science and Media Museum in Bradford. Credit: National Science and Media Museum Bradford. Photographs by Barbara Flueckiger in collaboration with Noemi Daugaard. An Expression, Hyogen (JAP 1935, Shigeji Ogino). 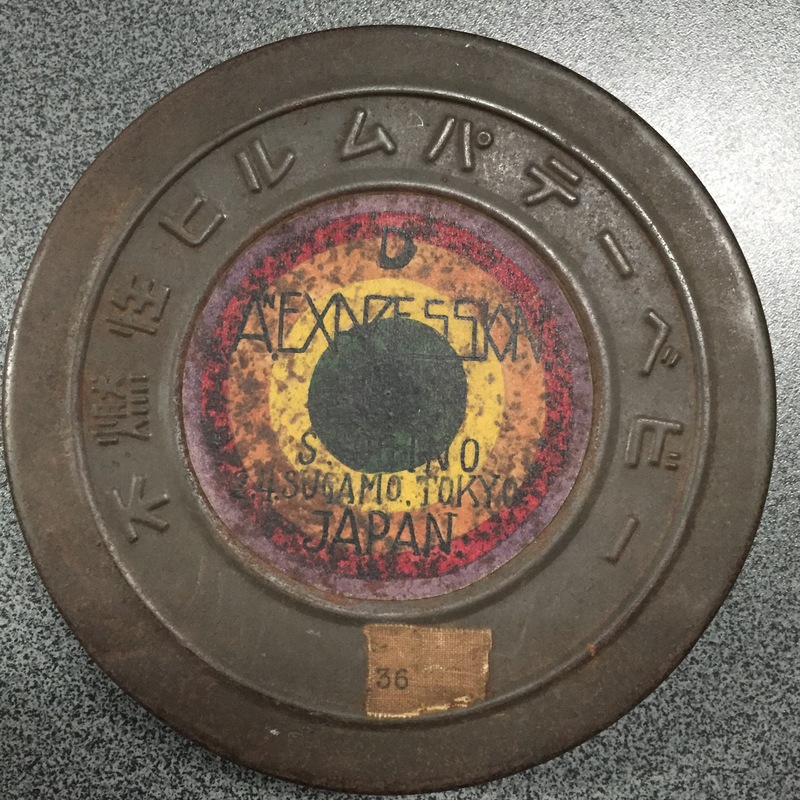 Credit: National Film Archive of Japan. 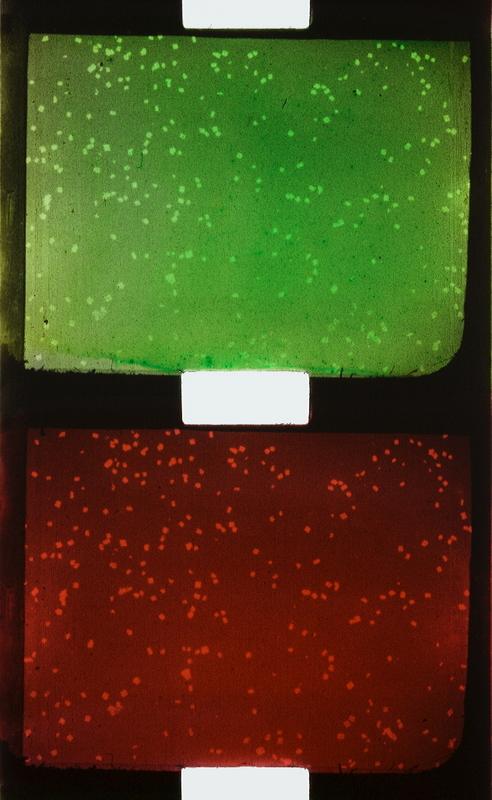 Photographs of the 9.5 mm Biocolour print by Barbara Flueckiger. An Expression, Hyogen (JAP 1935, Shigeji Ogino). Credit: National Film Archive of Japan. Photographs of the 9.5 mm Biocolour print by Barbara Flueckiger. Absorbances measured with a multispectral imaging system from film areas with pure dyes. Credit: Giorgio Trumpy, ERC Advanced Grant FilmColors. See the specific sample from which the spectra were measured. Absorbances measured with a double-beam spectrophotometer from film areas with pure dyes. Credit: Giorgio Trumpy, ERC Advanced Grant FilmColors. “Inevitably, the success of Kinemacolor led to the appearance of imitations. One company, Friese Greene Patents Ltd had been formed in 1908 to exploit several patents, mostly impractical, filed by Friese Greene. From this came a new company, Biocolour Ltd, led by Colin Bennett, a former Kinemacolor cameraman. 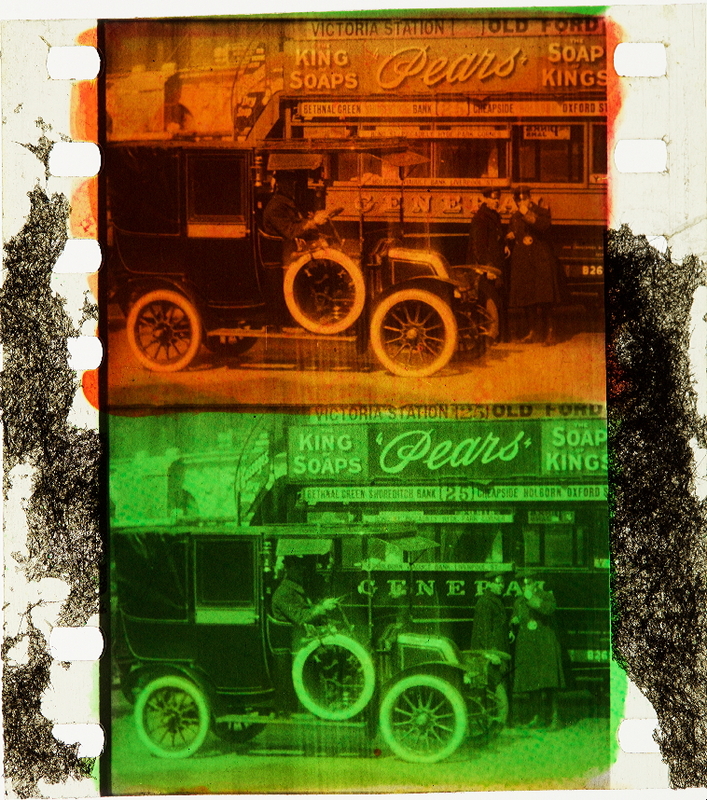 In Brighton in 1911 he began to present films made in a very similar way to those of Kinemacolor, except that instead of using a rotating filter wheel on the projector, the positive films were stained red and green on alternate frames. The Natural Color Kinematograph Company instituted proceedings for infringement of patent rights against Biocolour and for the next three years litigation dragged on. Biocolour, now renamed Bioschemes Ltd, on 18 December 1913 applied for the revocation of Smith’s patent on the grounds of non-originality, insufficient description and prior public use before the patent was published, but the judge found the case not proven on all points, and the petition was dismissed. In April 1914 Bioschemes appealed, and the Court of Appeal reversed the judgement and revoked Smith’s patent. 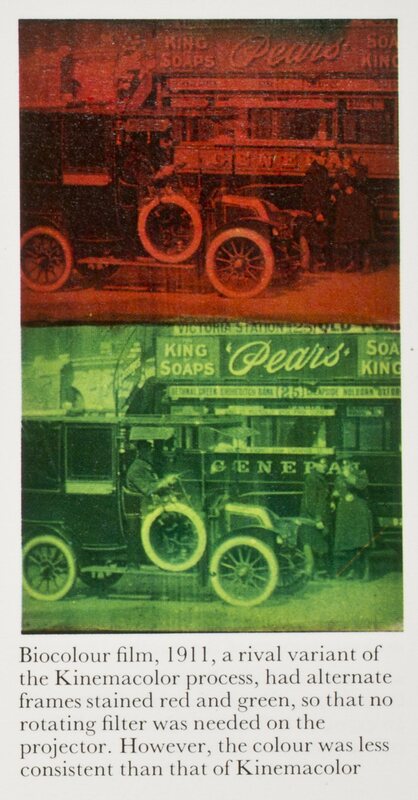 The Kinemacolor owners appealed to the House of Lords and in March 1915 their appeal was dismissed on the grounds that the patent had not specified the precise colours to be used, and that it had implied that a full colour reproduction was possible, instead of a pleasing compromise. Developed by William Friese-Greene, Biocolour was not a technical or commercial success. Its principal historical significance lies in its rivalry with the first commercially successful natural colour process, Kinemacolor. The two processes shared an identical system in the camera. The film was exposed at 32 frames per second (fps), twice the normal speed, through alternate red and green filters. This resulted in a negative consisting of successive frames, which were alternately records of the red and green components of the original spectrum, from which a positive was made. 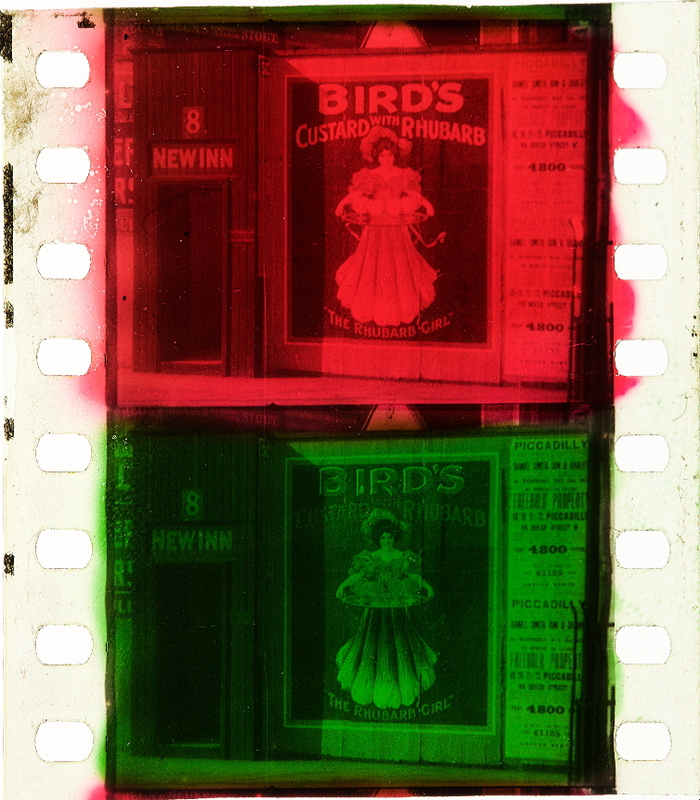 It is at this point that Biocolour diverged from Kinemacolor, since while the latter projected the image at the same speed through similar red and green filters, with Biocolour the individual frames were alternately stained red and green. When projected at twice the normal speed, the theory was that persistence of vision would allow the red and green colours to blur, creating the illusion of a full colour record. However, as with Kinemacolor (see also Additive processes and Beam splitting), the two frames were taken successively, one after the other, and so were not identical. This resulted in a fringing effect, where moving objects would leave red and green colour trails behind them as they moved. Biocolour developed out of William Friese-Greene’s experiments while working in Brighton for William Norman Lascelles Davidson between 1905 and 1906. At this time Friese-Greene was trying to perfect two different methods of bringing natural colour to the screen. One system involved the use of a prism. In 1903 Davidson and his then partner, Benjamin Jumeaux, had filed a patent for a three-colour system of colour cinematography using mirrors or prisms, with a provision for a two-colour version, which Friese-Greene adapted in 1905 to register his own patent, no. 9465. This patent suggested the use of a prism behind the camera lens to split the light from the object into two, half of which passed through a red-blue filter, the other half through a yellow-orange filter, and then the two images were registered side by side on the negative. 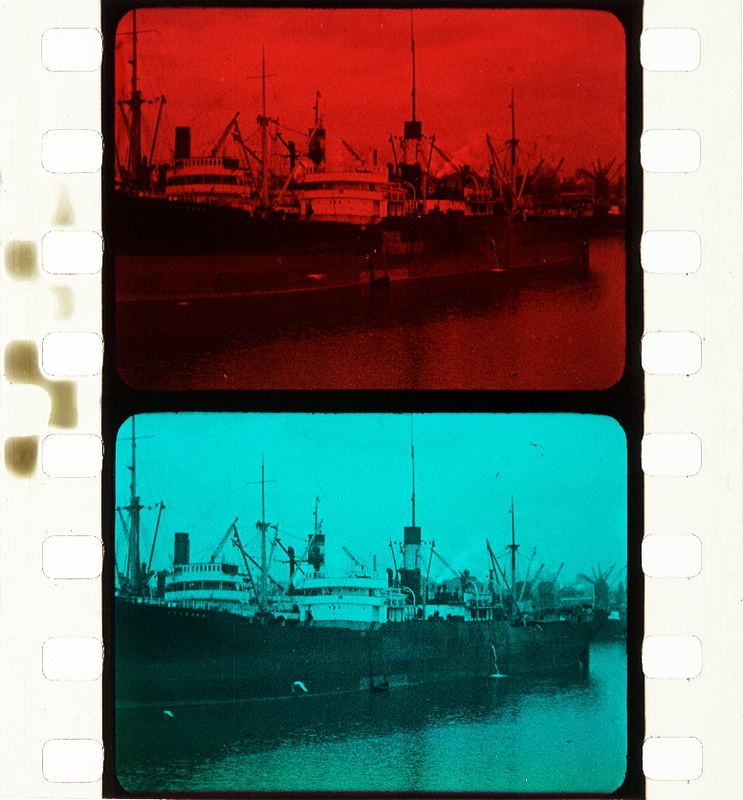 Friese-Greene was also working on a successive-frame process, whereby successive images were taken through red and green filters, and then the film stained red and green. In 1906 Friese-Greene demonstrated both versions to various witnesses, using a special projector built by Robert Royou Beard which allowed for the mechanism for each system to be switched. In 1908 Friese-Greene moved into a workshop above the Queen’s Electric Theatre in Brighton, a cinema owned by Walter Harold Speer, where he continued his experiments. Speer, who was in the process of moving from the exhibition sector into production by forming the Brighton and County Film Company, later Brightonia, in 1911, backed the successive-frame process and Biocolour Ltd was formed in August 1911 for its exploitation. The following month it was announced in the trade press that Biocolour was poised to enter the market, having signed an exclusive deal with the exhibitor Montagu Pyke, and having constructed a lab and studio in Brighton, although the claims about the lab and studio were almost certainly exaggerated. Part of the reason for the formation of Biocolour was to acquire the rights to the 1905 patent for the prism system, which perhaps suggests that Speer had doubts about the long-term effectiveness of the successive-frame system. 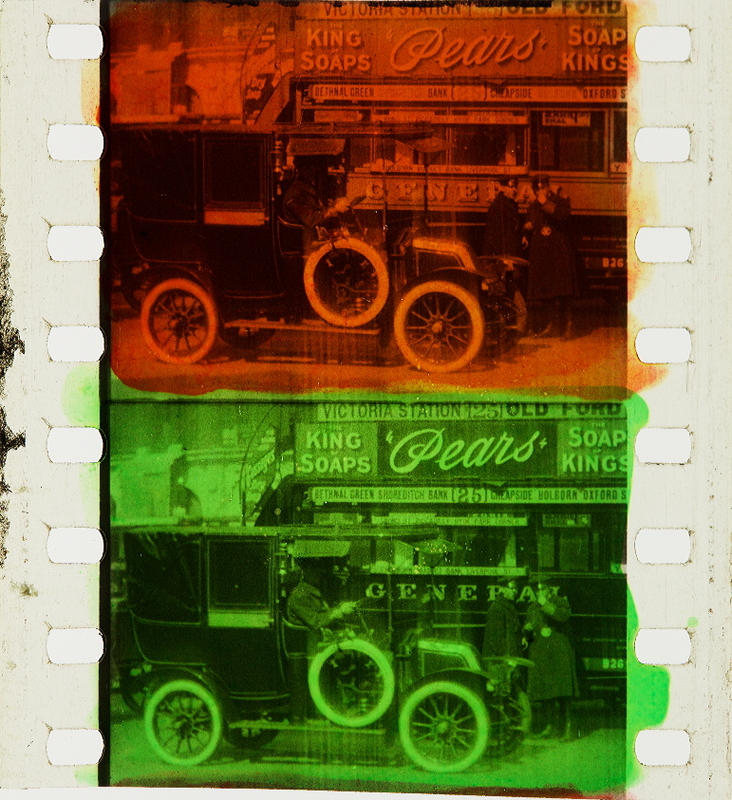 As it was, Charles Urban immediately sued Biocolour for infringement of the 1906 patent filed by George Albert Smith which was the basis for Kinemacolor, resulting in Biocolour having to cease trading and enter a lengthy court battle. 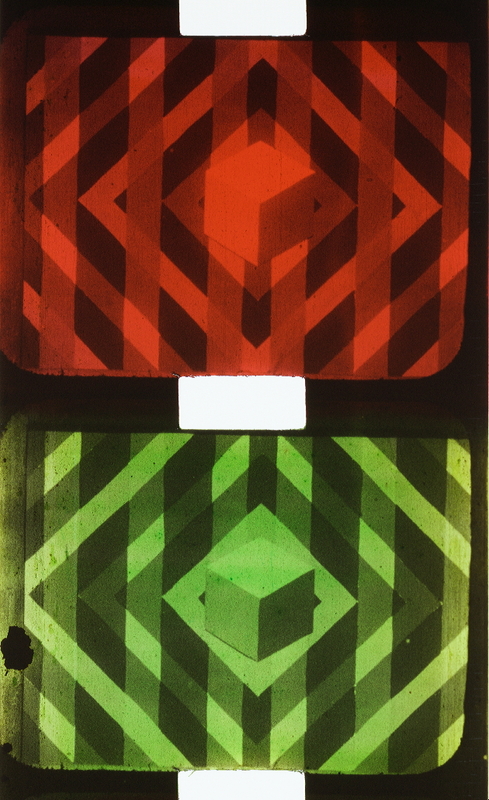 At the same time, despite being owned by Biocolour, the prism system was developed elsewhere to become Cinechrome. To fund the court case with Kinemacolor, Speer turned to the man who was backing Brighton and County, a wealthy motorist and cyclist, Selwyn Francis Edge. Edge bought most of the Biocolour shares and set up a new company, Bioschemes Ltd, which petitioned for the revolting of Smith’s 1906 patent. This was denied in December 1913 but the decision was overturned in March 1914, when Smith’s patent was declared invalid. Urban appealed again, but lost in 1915. This was a pyrrhic victory for Biocolour. Only one fiction film was made using the process, The Earl of Camelot, released in November 1914. 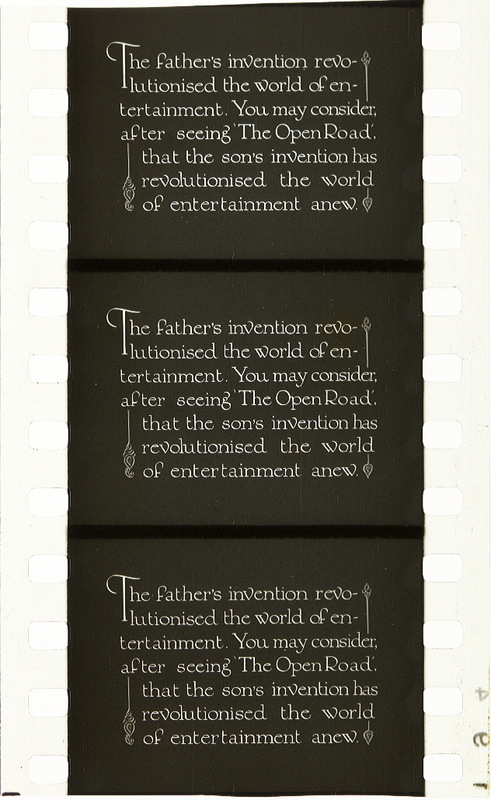 This was produced by Aurora Films, which had been set up by Claude Friese-Greene, William’s son, to make films in the Biocolour process. However, the film was poorly received, and if there were any future projects planned they were interrupted when Claude joined up to fight in World War I. The Biocolour process quietly died out, although it was adapted by Claude in die 1920s as the basis for his Friese-Greene Natural Colour process. Brown, Simon, ‘The Brighton School and the Quest for Natural Colour – Redux’, in Simon Brown, Sarah Street and Liz Waktins (eds), Colour and the Moving Image (New York: Routledge, 2012), pp. 13-22. Coe, Brian, The History of Movie Photography (London; Ash & Grant, 1981), pp. 118-19. “In his article “The Brighton School and the Quest for Natural Colour” (2004: 205–218) Luke McKernan illuminates the history surrounding early color processes developed in Britain, particularly Kinemacolor and its rival, Biocolour. Kinemacolor was the first commercially successful natural color process, developed by George Albert Smith around 1906, premiered in 1908 and successfully exploited by American entrepreneur Charles Urban through the early part of the 1910s. Biocolour on the other hand was considerably less successful commercially, barely being exploited at all. It was developed by William Friese-Greene who was championed, notably by early cinema historian Will Day (Bottomore 1996: 38) and Ray Allister (1948), as the founder of cinematography, a view later cemented in popular opinion through the The Magic Box (1951), a British feature film starring Robert Donat as Friese-Greene. Yet the historical evidence fails to bear out this romantic and idealized tale. An alternate view is offered by McKernan who mercilessly describes Friese-Greene as “a man of scant technical genius, an opportunist, fantasist, and an incorrigible borrower of others’ ideas” (2004: 209). 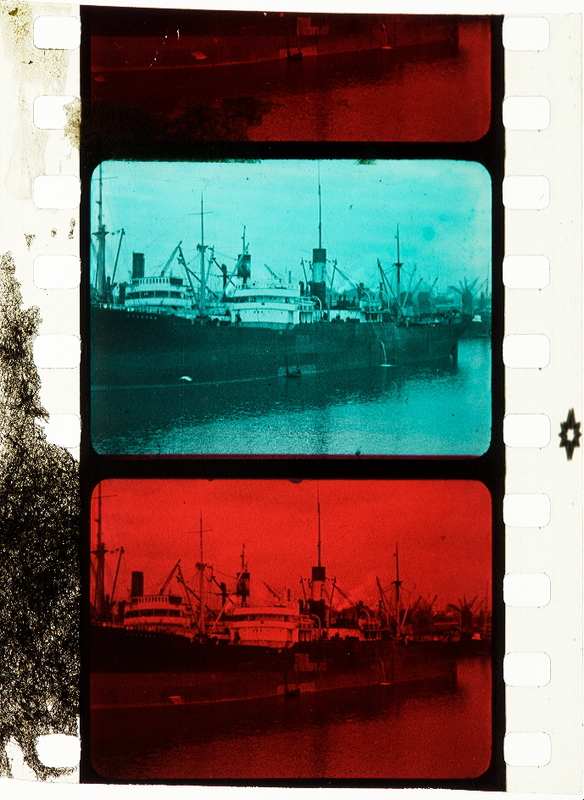 On a technical level, Kinemacolor and Biocolour were similar additive two-color processes. The principle of additive systems involved using filters to record a particular portion of the color spectrum and then in projection adding that portion of the spectrum to white light. By combining the two additive primary colors of red and green, a broad range of color could be achieved. 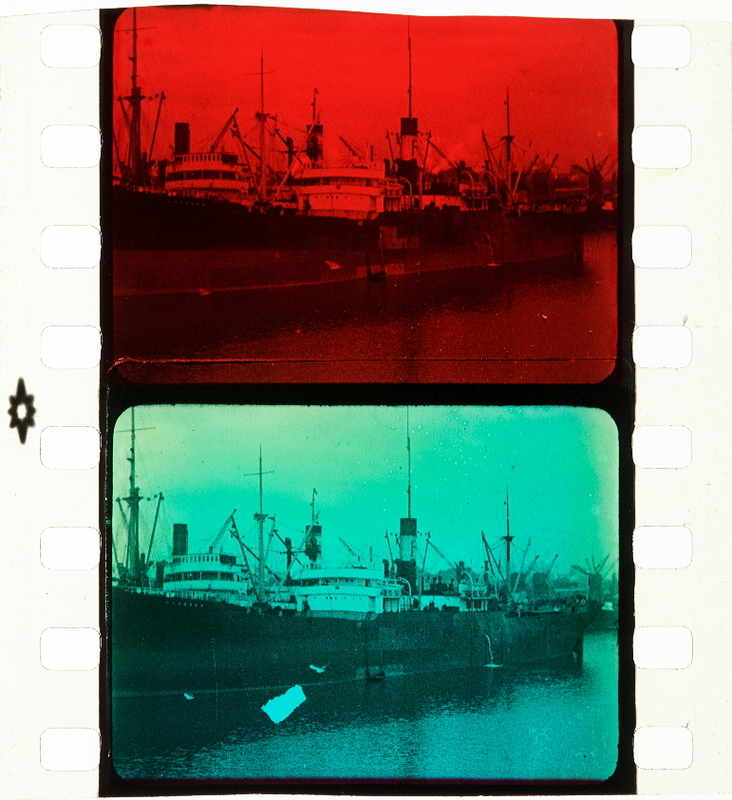 Both Kinemacolor and Biocolour films were taken the same way, recording successive images through red and green filters at twice the normal speed, resulting in a black-and-white film which was alternately a record of the red and green components of the spectrum. 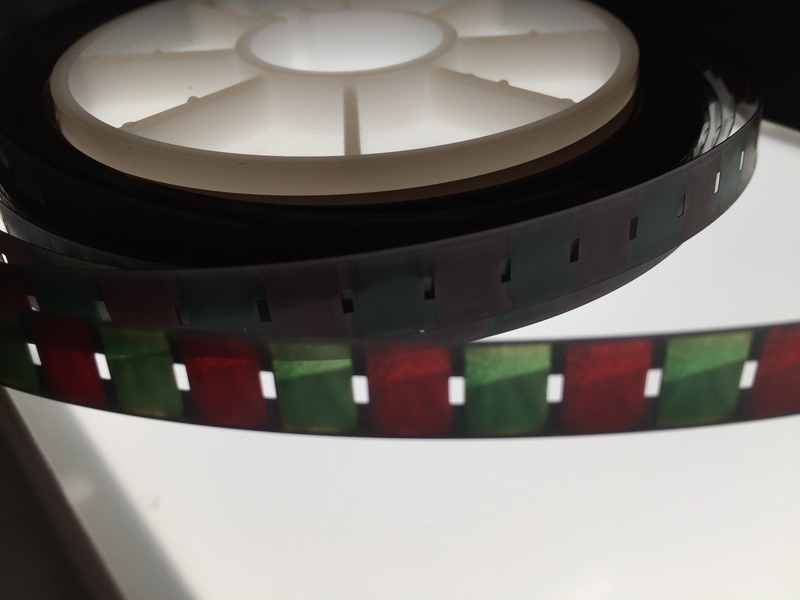 In projection they used the same principle that by projecting at twice the normal speed, persistence of vision would blur the red and green records and thus give the illusion of natural color. The methods by which they achieved this were however different. 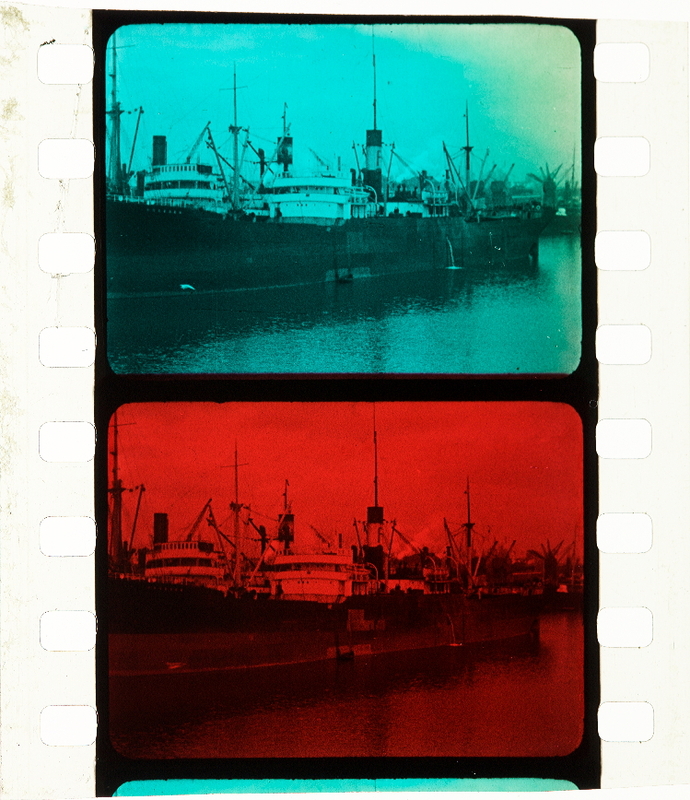 While Kinemacolor projected through similar filters, Biocolour film was stained red and green and projected without filters. What links these together historically is not only their technological similarities, but the fact that Urban threatened to sue Biocolour for infringement of his patents and after a series of court battles and appeals, Smith’s patent was revoked leading to the end of the commercial lives of both processes. McKernan’s research is significant because unlike the majority of studies of color it does not focus upon technological development but instead examines the more complex history of the people involved, how they came together and how their involvement led to technological change. To do this he links the story of Biocolour and Kinemacolor to the invention and activity which grew up in Brighton in the early years of the British film industry, termed by Georges Sadoul as the “Brighton School” (1948: 155–176). While focusing on the figures of Smith, Urban and Friese-Greene, McKernan also highlights the role in the development of color played by lesser known figures including William Norman Lascelles Davidson, Dr Benjamin Jumeaux and Edward Turner, all of whom were involved in various ways in bringing natural color to the screen. The key to this history is the patent no. 9465 filed in 1905 by Friese-Greene who at the time was working as an assistant to Captain William Norman Lascelles Davidson at 20 Middle Street, Brighton. Friese-Greene’s patent was a version of an earlier one, no. 7179, filed by Davidson and Benjamin Jumeaux in 1903. Which suggested using colored prisms to split the light from the object and direct it through lenses onto a film strip where it registered images side-by-side. Friese-Greene proposed that a prism be placed in such a way as it lay behind and halfway across the lens, thus refracting half of the light. The light which was not refracted passed through a yellow-orange color screen whilst the remainder passed through a blue-red color screen, and the two images were registered side by side. 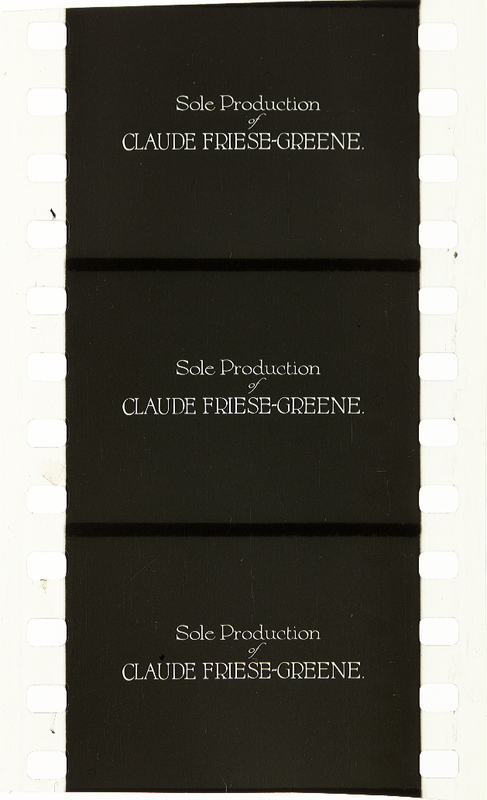 Friese-Greene insisted his 1905 patent was the master for color cinematography, one of the claims which later formed the basis of the legal battle between Biocolour and Kinemacolor. Biocolour Ltd. was formed in 1911 by the exhibitor Walter Harold Speer to commercially exploit the Biocolour process. As part of the formation, Biocolour was granted the rights to the Friese-Greene 1905 patent which was owned by a Brighton furniture dealer named Harry Birch. While he was still working for Davidson, in 1905 Friese-Greene had shown Birch some examples of color films. On the strength of the prism process Birch advanced Friese-Greene £500, and in August 1906 Birch acquired the patent in lieu of an outstanding debt of £150 (URB 7/2-6: 172). Friese-Greene left Davidson’s employ in October 1906 and Birch set Friese-Greene up in a photographic shop at 203a Western Road in Brighton. Part of the deal by which Biocolour Ltd. was founded was an agreement made in August 1911 between Speer and Birch that for the sum of one fully paid up share Birch would sell the company the rights to the 1905 patent. So far the information agrees with McKernan’s assertion that the company was formed to exploit two-color films made by the prism system, but it is at this point that the problems emerge. The first is that the company was formed and acquired the prism patent in August 1911, and yet only a month later announced that Biocolour was ready for commercial exploitation. A public demonstration was held at the Piccadilly Cinematograph Theatre and on 8 September a deal was struck with the exhibitor Montagu Pyke for exclusive rights to show Biocolour on the Pyke circuit in all London districts (Bioscope supplement, 14 September 1911: xv). An advertisement suggested that showmen in the provinces had already started acquiring rights and that a large factory and studio had been built in Brighton (Bioscope, 14 September 1911: 577). There is no record of a Biocolour lab and factory but it is possible that in 1911 Biocolour was granted use of the studio which was being built for The Brighton and County Film Company, later Brightonia. Brighton and County was formed in 1911 by Speer and was funded by the cyclist, boat manufacturer and adventurer Selwyn Francis Edge who in November 1911 would fund Biocolour’s battle with Kinemacolor by helping to re-form Biocolour into a new and better resourced company, Bioschemes Ltd. The second problematic issue, which explains why Biocolour was able to launch so quickly after the company was formed, was that the process was not based upon Friese-Greene’s 1905 patent at all. It did not use a prism system registering images on the frame side-by-side using instead, as described above, a rotating disc containing red and green filters through which successive frames were taken at double speed, then stained red and green and projected again at twice the normal speed. In fact the 1905 patent formed the basis for a completely different natural color system, known as Cinechrome and developed by a company called Friese-Greene Patents Ltd. While working with Davidson on a prism system for natural color, which Davidson and Friese-Greene demonstrated in January 1906 at the Royal Institution and in July at the photographic convention of Great Britain in Southampton, Friese-Greene was also trying to perfect a successive-frame system of color using a rotating filter wheel, which would become the basis of Biocolour. A number of witnesses testified in court during the Bioschemes v Kinemacolor court case that Friese-Greene, both while working for Davidson at Middle Street and shortly after moving to Western Road in October 1906 with Harry Birch, demonstrated color films taken with both a prism system and a rotating filter system using a projector made by Robert Royou Beard which was modified so that the mechanism could be changed to accommodate both (URB 7/2-6: 164–165). Friese-Greene therefore had two color processes in development. Confusingly, not only was the 1905 patent which Friese-Greene Patents Ltd. developed actually owned by Biocolour, but also it was the only patent registered by Friese-Greene which Friese-Greene Patents Ltd. did not own. In November 1907 Friese-Greene assigned the rights to all his patents, excluding the 1905 patent owned by Birch, to Charles James Morris. This assignation bore the provision that Friese-Greene and George Walter Chapman would subsequently secure the rights of these patents from Morris for an engineer named Allan Ramsay. The deal securing the rights for Ramsay was signed in July 1908 and that same month Friese-Greene Patents Ltd. was formed with a capital of £2,400 and a registered office in Ramsay’s premises in Victoria Street in London. Ramsay agreed to sell his rights to the company and became the Managing Director and Friese-Greene was appointed as Technical Director for a period of four years (BT 31/18498/98940, Friese-Greene Patents Ltd., 1908). Under the auspices of this new company, Friese-Greene continued his experiments to develop a successive frame rotating disc system. Somewhere between 1908 and 1910 Friese-Greene came into contact with the aforementioned Walter Harold Speer. In 1909 Friese-Greene opened a workshop at 130 Western Road in Brighton above Speer’s Electric Bioscope Theatre. In December 1909 Speer and Friese-Greene, along with Friese-Greene’s head electrician James Clifford Crawley, invited members of the National Association of Cinematograph Operators to his workshop, grandly named the New Scientific Hall, to demonstrate a new process of tri-color stereoscopic cinematography (Bioscope, 2 December 1909: 29). Then between November 1910 and August 1911, Speer, who was not involved in Friese-Greene Patents Ltd., took the impetus to build up an infrastructure with a view to forming a company to exploit under the brand name Biocolour the successive frame color system which Friese-Greene was developing whilst working for Friese-Greene Patents Ltd., acquiring at the same time the unrelated 1905 patent presumably because it was the only Friese-Greene patent which was available (BT 31/13680/117253, Biocolour Ltd., 1911). Friese-Greene evidently had no qualms about taking the money to develop rival processes for competing companies. In 1911 he therefore found himself with his patents divided between two companies and his attention divided between competing color systems, one using a prism to record images side-by-side, owned by Biocolour Ltd. yet being developed by Friese-Greene Patents Ltd., and another using a rotating disc to record successive frame images, owned by Friese-Greene Patents Ltd. but being exploited by Biocolour Ltd. Friese-Greene himself was working for both companies at the same time, patenting a color stereoscopic process in February 1912 under the auspices of Friese-Greene Patents Ltd. while simultaneously involved with Biocolour’s court case with Kinemacolor (British Journal of Photography, 28 March 1913: 255–256). It was between 1911 and 1912 that Friese-Greene Patents Ltd. became involved with another significant figure, Colin Noel Bennett, who was a journalist, a photographer and cinematographer who became well known for his regular columns published in the Kinematograph and Lantern Weekly (Kine Weekly), The Handbook of Kinematography, published by the Kine Weekly in 1912, as well as a 25-page booklet for Kinemacolor operators called “On Operating Kinemacolor” (Bennett 1910). Bennett was also experimenting with color cinematography. In January 1911 he filed patent no. 1642 in association with Conrad Beck, a London optician, for a specially designed camera using two small lenses one above the other behind a rotating shutter with cutaway sections which worked in synch to expose two frames simultaneously. Before the lenses were two filters, one red and one green. Both the red and green images were therefore recorded simultaneously but successively. Bennett’s involvement in color experimentation led to his becoming associated with Friese-Greene Patents Ltd. This may have been facilitated by the fact that in late 1911 or early 1912 Bennett granted the rights to his 1911 patent to Friese-Greene (Bennett 1912: 236–237) which seems to have been a move to create links between Friese-Greene Patents Ltd. and his own work. The result was that negotiations began in 1911 to re-form Friese-Greene Patents Ltd. with Bennett as the driving force. In December 1911 the two directors of Friese-Greene Patents Ltd., Ramsay and Morris, resigned and were replaced by R. H. Crooke and F. W. Pendleton, with William Holden appointed as secretary. The registered office moved to Crooke’s premises at 7 Little St. Andrew Street in London. In November 1912 a new company was registered, Colin Bennett Ltd., with both Pendleton and Holden as directors, along with Bennett, James Marsden and John Sharp Higham. The company had the financial backing of Sir William Pickles Hartley, owner of Hartley’s Jams, who was Higham’s father-in-law, Higham having married Pollie Hartley in 1899.1 Friese-Greene Patents Ltd. continued to operate in name only until around 1917. So by the end of 1912 both Biocolour and Colin Bennett Ltd. were drawing upon and utilising the inventions of William Friese-Greene with backing from influential figures from the world of business, Selwyn Francis Edge and William Pickles Hartley. Curiously, at the moment that both companies were well financed and had the potential for success, both Friese-Greene and Bennett walked away. Bennett continued his color work into 1913 and then stopped. He filed no more patents and had nothing more to do with his company, returning to journalism and writing a regular technical column for the Kine Weekly. In 1915 Colin Bennett Ltd. was re-formed as Cinechrome Ltd., without Bennett but still with Hartley, Higham and Marsden as directors, registering three patents that year adapting Bennett’s original ideas under the names of Higham, Frank Twynam and Harold Workman, the latter two being involved with a company called Adam Hilger Ltd. By 1921 the system had developed from the original ideas outlined by Bennett, and used a beam splitter to record two color records side-by-side on an extra-wide film with perforations down both sides and in the middle. It was this version of the process which was used by S. J. Cox to film the visit of the Prince of Wales to India and which was subsequently premiered at The Royal Society of Arts in 1922 and later had a public run at the Stoll Picture Theatre. By this time Hartley was dead and the company was acquired by Cox and Demetre Daponte, who had also worked with Twynam for Adam Hilger Ltd. Cox and Daponte reworked and remarketed the process as Cinecolor, and the patents were ultimately taken over in 1937 by Dufay-Chromex, producers of the Dufaycolor process. Equally, almost every account of the life of William Friese-Greene stops with the climax of the court case with Kinemacolor, and then jumps to 1921 when he died at a meeting of the Cinematograph Exhibitors’ Association. The court case with Kinemacolor dragged on into 1914 without Biocolour being able to exploit its product, which was at best mediocre, and in the end only one fiction film was made in Biocolour after the court case ended. The Earl of Camelot was released in November 1914 and produced by Aurora Films, which had been set up by William’s son Claude Friese-Greene. The film was not successful and while Aurora was registered as a Limited Company in February 1915 for the purpose of making films in Natural Color using the Biocolour process, the company went into voluntary liquidation in November the same year, by which time Claude had joined up to fight in the First World War. Rachael Low cites a claim by R. H. Cricks that around 1915 Friese-Greene was experimenting with color at the Cricks and Martin Studio (1950: 101). Certainly by the end of 1915 he was in sufficient financial straits that Will Day made an appeal in the Bioscope for funds to help him out (Bioscope, 23 December 1915: 1,306, 1,369). According to Ray Allister’s unreliable account, Friese-Greene took the money, moved to London and got a job in a government lab doing dye research (1948: 162). In 1918 however he returned to inventing, patenting a number of color related inventions in 1918 and 1919 and going into business with a photographer, John Newlands Thompson. In 1920 they formed Colour Photography Ltd. to acquire, develop and exploit these patents in association with some of the independent investors who had helped Friese-Greene in their development. The company was formed in February with a huge nominal capital of £25,000 which was doubled in July, but after three years of research and development, in which no trading of any kind was done, the company went into voluntary liquidation in November 1924. This begs the question as to why Bennett and Friese-Greene abandoned their experiments and the companies with which they were involved. Did they decide they had had enough? Were they removed by the boards? Or did they sit back, having done the initial development and leave further research and commercial exploitation to the professionals? 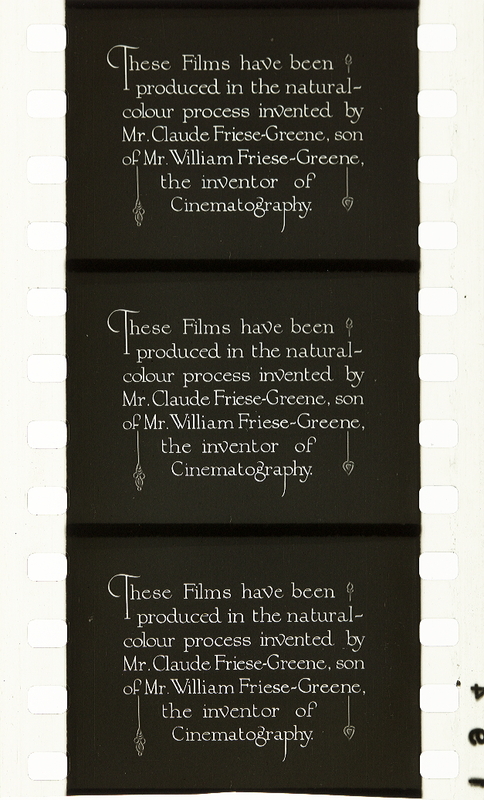 It seems evident that Friese-Greene watched his Biocolour process falter and die in 1914 and 1915, leaving him in a woefully impecunious state, but why then did he not get involved with Cinechrome once more? They owned the rights to his patents so owed him nothing, and the process had been moved on considerably from the 1905 patent by the work of Bennett and others, so perhaps there was no room for him there. There might also be a very good reason why Colin Bennett stopped experimenting with color. Perhaps he took his ideas as far as he could and then passed them on, or another possibility is that there was an irreconcilable disagreement between himself and Friese-Greene or with the board of Colin Bennett Ltd. Such questions may never be answered without the discovery of personal diaries or letters, but I would argue that raising them is nevertheless important because they demonstrate that what seems on the surface to be a simple history hides a great deal of unknowable variables. When considering the history of Biocolour and Kinemacolor it is straightforward to see it as a polarized conflict of two sides with no common ground. Yet Bennett wrote an operating manual for Kinemacolor whilst working with Friese-Greene. It is equally easy to see Biocolour and Cinechrome as separate technological processes, yet they were inextricably linked by common personnel at a management and technical level. This chapter is very much a micro-study of a small and seemingly insignificant moment in British cinema history; the formation of two companies which did not survive, the development of two processes for color cinematography which did not achieve long-term commercial success, and the stories of a number of people whose impact on the wider film industry is perhaps negligible. Nevertheless, it suggests the chaotic and unstructured nature of technological development during the formative years of the film industry, and that notion of the film industry is key to our understanding of cinema’s development. The financial dealings behind this story are striking. While Friese-Greene Patents Ltd. was funded by a local Brighton furniture dealer, Colin Bennett Ltd. was backed by Sir William Pickles Hartley. While Biocolour Ltd. was formed by exhibitor Walter Speer, Bioschemes Ltd. was supported by Selwyn Francis Edge. Ultimately neither backer saw major returns but their presence in this history indicates that both companies were formed and transformed on the cusp of an investment boom which effectively raised cinema to the level of a global media business. This case study ultimately suggests that an examination of the figures on the margins of the technological and aesthetic developments which form the thrust of the history of the development of cinema can offer insightful and provocative new perspectives on histories both known and unknown. 1 Adrian Klein states that Hartley and Bennett were involved in the formation of Friese-Greene Patents Ltd. (Klein 1936: 9) but Board of Trade files indicate that they were not involved until at least 1911. Allen, R. C. and Gomery, D. (1985) Film History: Theory and Practice, New York: McGraw Hill. Allister, R. (1948) Friese-Greene: Close-up of an Inventor, London: Marsland. Anon. (1911) Bioscope, 14 September: 577. Bennett, C. (1910) On Operating Kinemacolor, London: The Kinematograph and Lantern Weekly. Bennett, C. (1912) The Handbook of Kinematography: The History, Theory and Practice of Motion Photography and Projection, London: The Kinematograph and Lantern Weekly. Bottomore, S. (1996) “Will Day (Wilfred Ernest Lytton Day)” in Herbert S., and McKernan, L. (eds.) Who’s Who of Victorian Cinema, London: BFI. Friese-Greene, W. (1905) “Improvements in and Relating to the Production of Negatives and Positives for Multi-colour Projection and Improved Means for Projection on to a Screen”, Patent No. 9465, 14 June. Klein, A. B. (1936) Colour Cinematography, London: Chapman & Hall Ltd.
Low, R. (1950) The History of the British Film 1914-1918, London: George Allen and Unwin. McKernan, L. (2004) “The Brighton School and the Quest for Natural Colour” in Popple, S. and Toulmin, V. (eds.) Visual Delights Two: Exhibition and Reception, Sydney: John Libbey and Co.: 205–218. Sadoul, G. (1948) Histoire générale du cinema 2: Les pionnieres du cinema 1907-1909, Paris: Denoel. “In the House of Lords On Appeal From His Majesty’s Court of Appeal (England) In the Matter of Letters Patent no 26671 of 1906 Granted to George Albert Smith and In the Matter of the Patents and Designs Act, 1907 Natural Colour Kinematograph Company Limited (IN liquidation) v Bioschemes Ltd.” URB7: “Papers, Patent Specifications and Court Report relating to the Urban V Bioschemes Court Case 1913-1915″, Charles Urban Papers Collection, National Media Museum, Bradford.